Does Your Oriental Rug Need Cleaning, Restoration, Repair Or Maintenance? DYI How To Clean Your Rugs After An Accident and Remove Stains From Your CarpetsAntique and Vintage rugs are rare, beautiful collectors items. Therefor, these rugs should be cherished and maintained with care to ensure their longevity, beauty and value. Whether it is a runner rug, room size rug, Moroccan, or floral masterpiece, tribal, or Persian, your antique rug deserves to be cleaned, washed and pampered, but how? Q. How Much Does Will It Cost To Clean My Rugs? A. At Nazmiyal, we charge a base cost of $4 a square foot to clean rugs. Please note that we charge a minimum of $125 per rug for cleaning. Also, since we do not currently offer pick up or delivery services, you would need to arrange to have the rugs you want cleaned both dropped off and then picked up. Q. How long does it take to get my rug cleaned? A. The time frame for cleaning your rug depends on what needs to be done. Generally, if no additional services are needed, then you should assume around 2 to 3 weeks. Q. How do I know when it is time to clean my rug? A. Your rug should be cleaned every three to five years depending on how much foot traffic it receives. Q. Who is the best Rug Cleaners in NYC? A. The Nazmiyal Collection is the best rug cleaner in NYC. We do all our rug leaning by hand and every single carpet is thoroughly inspected before we begin. Sometimes, due to the value or condition of your rug, we might even recommend that the rug not be cleaned or serviced. We will always error on the side of caution and would rather lose some cleaning business than jeopardize our spotless reputation. Q. How do I get the rugs to Nazmiyal Antique Rugs in NYC for cleaning? A. We are happy to put you in touch with a local delivery service who, for a small fee, could pickup the rug and deliver to us and visa versa. Contact our rug expert, Alen, who will be able to advise you on how to properly roll up and package your rug to ensure its safety! Q. Why is it important to regularly service or clean my rug? A. An exquisite antique or vintage rug maintains its vibrancy, stays healthy and lasts longer when you preserve the natural oils in the fiber through regular maintenance, therefor keeping the rug remaining optimal in color. Q. How does Nazmiyal NYC clean and care for our customers rugs? A. Each rug is thoroughly and delicately hand washed with a special solution based on the specific rug’s needs. Q. As for Rug maintenance, what services does Nazmiyal NYC offer? A. Nazmiyal Antique Rugs in NYC offers exceptional rug cleaning, dusting, washing, stain removal, restoration, and repair. Q. Who should I contact to inquire about getting my rug cleaned, repaired, and / or restored? A. You can Contact Nazmiyal Antique Rugs in NYC for and rug cleaning and restoration questions you may have. Q. How often should I have my antique Persian rugs cleaned? A. As a general rule, antique Persian rugs should be cleaned every three to five years depending on the level of traffic they receive. Q. What if My Rug Has Stains? A. Stains are probably the most obvious sign that a rug should be cleaned. Aside from gently blotting spills, leave stain-removal work to the rug cleaning pros. Stains tend to set in and get worked into the fibers as they dry or are rubbed. It’s also important to note that bugs, moths and rot are more likely to affect dirty rugs, including those in storage. Q. What is The Carpet “Touch Test”? A. The touch test is a simple and effective way to gauge the level of soiling. Simply rub the pile with an open hand going with the direction of the grain. If your hand feels dirty or excessively sticky, the rug might need to be cleaned. Q. Exploring What is Under the Carpet? A. Inspecting the carpet pad and floor underneath can give you a good idea of overall cleanliness. Fine dust-like micro-particles on the floor are an indication that a rug needs to be washed. Smaller particles may seem soft and powdery, but they’re actually glass-like bits of silica that are the most damaging. Q. Why Should I Be Checking the Rug’s Pile and Foundation? A. A visual examination of the pile and under-structure reveals deposits of dirt that are abrading the rug’s foundation. Gently spread the pile apart to look for dirt at the base of the knots (and along the warp and weft). 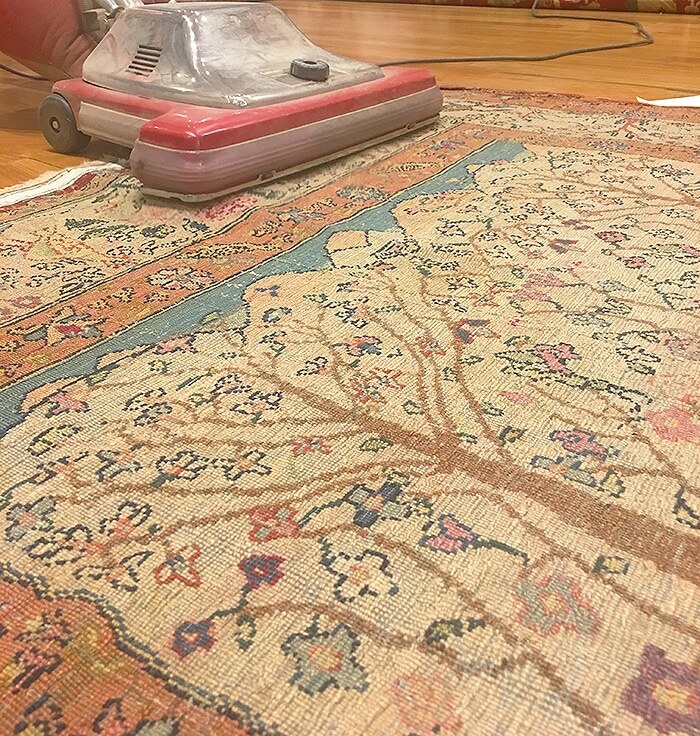 Because typical cleaning methods cannot remove these deeply embedded particles, harmonic vibration equipment is the safest and most effective tool for cleaning antique rugs and protecting their value. Q. When Should I Clean My Oriental Rug? A. To clean or not to clean: that is the question and an issue that plagues rug owners year after year. Fortunately, the new year is a particularly good time to check the condition of household carpets and to see if they need to be cleaned. Perpetual foot traffic, dirt, dust and stains from kids, pets, and holiday guests might spell doom for valuable vintage and antique carpets. Regular cleaning is an essential part of protecting investment pieces and treating carpets with respect. The natural fibers used to create carpets have a number of remarkable characteristics. Each material requires specialized cleaning procedures to release dirt and return the fibers to a naturally clean state without compromising the stability and structure. When it comes to cleaning antique Oriental rugs, it simply doesn’t pay to wait. Depending on traffic and household conditions, area rugs should be cleaned every three to seven years. Natural fibers and many dyes react to different substances and temperatures. That’s why it’s important to select an experienced antique rug cleaning service that can create a specially tailored process for cleaning your antique rugs, family heirlooms and investment pieces. Have a look at these common signs that a rug needs to be cleaned. Q. How do rugs get cleaned? What goes in to cleaning process of a rug? A. Factors that affect how your rug will be cleaned include size, geographic origin, construction techniques, fiber content, age and dyes. In most cases, antique rugs will be physically dusted to remove abrasive grit and debris trapped deep in the carpet pile. Then aqueous cleansing agents are applied to remove soil attached to the natural fibers that dulls the color and luminous sheen. Our antique rug cleaning experts are trained to clean using the most appropriate methods. If necessary, oxygen-based treatments can be employed to remove oxidation that causes yellowing in white and ivory rugs. When necessary, we stabilize weak areas and employ protective cloths to minimize wear and unnecessary friction. Our rug cleaning experts are attentive to the special needs of every unique carpet. After cleaning antique Oriental rugs and removing the cleansing agents and excess water, rugs are placed in a climate-controlled drying room. There, air warm, dry air circulates to ensure that even the thickest pile carpets dry quickly and thoroughly. Contact us today to learn more about cleaning antique Oriental carpets and restoring your rug’s natural beauty. Q. 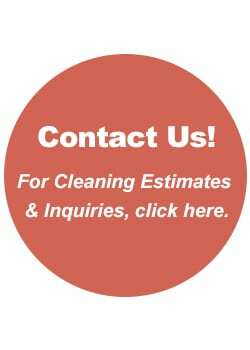 How to get rugs cleaned in New York City? A. Our focus is on buying and selling antique rugs, from antique Persian rugs to vintage carpets. But due to the lack of truly reputable rug cleaning companies in New York City, we decided to offer our rug cleaning services to the general public. Since we are not officially rug cleaners per se, we do not have pick-up and delivery service. You would need to have your rug dropped off and then picked up. We do work with some delivery companies so feel free to call us for their information. An essential part of preserving the value, beauty and integrity of your antique rugs and vintage rugs is having your rugs cleaned by professionals. At Nazmiyal, our antique rug experts and professional carpet cleaners have been washing, cleaning, repairing and restoring antique rugs for more than 30 years. To us, cleaning old rugs goes beyond removing the surface dirt. It’s also an important part of maintaining the natural fibers and carpet structure. We, at Nazmiyal, have the knowledge and experience to safely clean and maintain high-end rugs and irreplaceable antiques. 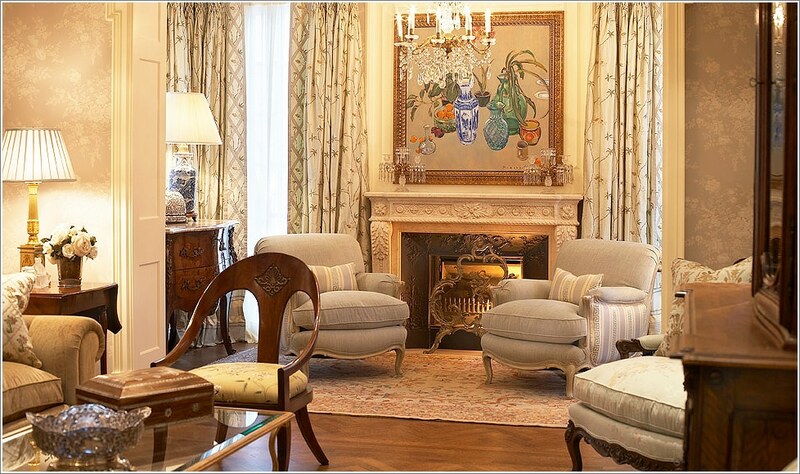 Our New York City rug servicing professionals work with many respected collectors. We deliver a level of care that has made us a vendor of choice for international collectors, museums, and the most discerning rug owners who require the best. Periodically, cleaning rugs is an essential part of maintaining and keeping up valuable investment pieces, cherished collectibles and one-of-a-kind antique rugs. A professional cleaning is recommended for most rugs and carpets every four to five years. In addition to our antique rug cleaning service, we also clean semi-antique and vintage rug from China, Persia, Turkey, and the Caucuses. We perform wet and dry carpet cleaning procedures that are compatible with silk rugs, wool carpets, and the most delicate hand-woven textiles. For the past three decades, our antique oriental rug cleaning team in NY has reinvigorated valuable textiles and carpets made with sensitive colors and delicate natural fibers. Our rug cleaning services are done in a specially designed workshop and restoration studio that can accommodate the smallest decorative rugs and largest room-sized carpets. We provide every customer with the highest level of service from the initial pick up through final delivery. Our knowledgeable conservators and rug cleaning experts carefully examine each carpet to determine the best process and foresee issues with color bleeding, delicate fiber and structural weak points. Before cleaning antique Oriental rugs, the age, size, condition, materials, construction techniques and level of soiling are carefully considered. Contact Our Experts at 212-545-8029 or Simply Email Us to find out why Nazmiyal is the best Oriental rug cleaning NYC option! Washing and cleaning your rug – As routine maintenance, every four years or so, a rug should be professionally washed and cleaned. Urban environments will deposit airborne grime and soot in your rugs and textiles. Rugs can also dry out from central heating and washing not only cleans the rug, but re-moisturizes the wool. Spot cleaning – This may be necessary in the case of stains from spills. NEVER use chemical cleaners or stain removers – if not used or applied correctly, they may damage the rug irreversibly. Red wine, tea, coffee, milk, and pet stains should require immediate attention. Such spills should be blotted up and then flushed with warm water. This can be done by putting a disposable towel or cloth under the rug and pouring water through it until the stain is rinsed out. Test the rug first to make sure that the colors do not run before flushing extensively with water. To “test” the area, simply rub a damp white colored cloth over the affected area and then see if any of the colors transferred over to the white cloth. If the actual rug colors transferred onto the white cloth, then we would strongly urge you to seek professional assistance. Red wine spills can also be treated by putting table salt on the stain after blotting and flushing, but the salt should be fully removed after five minutes or it will bleach the rug. If you soak an area on the rug – As a result of a leak, spill or if done on purpose, a damp rug should never be left flat on the floor. Make sure that it is lifted from the floor’s surface to allow air circulation on both sides until it is thoroughly dry. You do not need to lift the entire rug off the floor. You can lift the carpet by putting things under different areas of the rug. By doing this, you will allow the air to circulate and the moisture to evaporate. A damp rug left laying flat on the floor may lead to dry rot. Major washing and even spot cleaning are best left to the professionals. A professional cleaning service can do wonders as far as getting out stains, especially if one has the rug attended to quickly. Routine maintenance of your antique rug or vintage carpet is essential to preserving its beauty. Below, find a useful list of tips and tricks designed to help you take care of your antique rugs. From dusting to spot cleaning your rugs, we cover some of the most important things that you can do to preserve the investment that your antique rug represents. How To Get The Dust Out Of Your Rug? The first thing you should do when cleaning rugs, is shake the dust off of them. A lot of times a carpet needs nothing more than the dust shook off of it for it to look good and smell fresh again. Hang the rug over a line and gently beat the dust out with a rug beater. Turn the rug over so it is upside-down and vacuum the back of the rug. The vibrations should loosen up the dust that is embedded deep in the pile and cause the dust to fall to the floor. Then just get rid of the dust that fell to the floor and vacuum the face. Keep doing this till you see that there is no more dust collection on the floor when you turn the rug over (please note that for this to work, you need a vacuum that has bristles and you should move the vacuum slowly). How to Clean Oriental Rugs and Antique Carpets? Oriental rug cleaning can be tricky. If you use the wrong cleaning solutions, you may inadvertently damage the rug and cause the colors to run or bleed. When you are cleaning oriental rugs, especial the old ones that are worth hundreds or thousands of dollars, you should trust professional cleaners to do the job. How To Make Spot Cleaning Solutions for Your Rug? Use a mixture of dish washing detergent and warm water to clean spots out of rugs. Take a bowl and place about two cups of warm water (hot hot or boiling) in it. Then add a few drops of liquid dish detergent in the bowl. Use a whisk and whisk the mixture together so that it creates bubbles at the top. Before you attempt to use any cleaner on your rug, turn the carpet over and find a place on the back that will not be noticed if it gets “messed up”. You will want to test a spot that is at least as big as a silver dollar. Then try and apply the cleaner to see if it is going to make the colors bleed or create any other damages to the carpet. *Make sure you let the newly cleaned area completely dry before deciding whether or not the cleaner is going to be effective and “safe”. Clean the rug using mostly the bubbles and not much water. You do not want to get the area wet, simply clean. Next, take a soft bristled brush, dip a few of the bristles in the cleaning solution you created and lightly rub it over the stained area of the rug. Rub very gently so that you do not do any damage to the fibers of the carpet… This is very important! If you get vigorous, you could actually break some of the threads and cause permanent damaged. Blot the area dry with a soft, clean cloth. Owning an antique rug, especially a fine antique one, is not only a pleasure, but a responsibility. Owners of antique carpets and Persian rugs should actually think of themselves as “the current owner”, one in a series that extends from the distant past and well into the future. Antique rug care and maintenance is perhaps the most important and simplest aspect of owning a rug. Wear – due to foot traffic and/or rough vacuuming. Stains – from food or beverages. Burns – from smoking or fireplaces. Damage – leaks from plumbing/potted plants. You must be vigilant of a carpet if it begins to unravel or wears down to foundation. If left unattended, the carpet will continue to deteriorate further. As time goes on, worn out areas will become actual holes or tears. Unraveling, which generally occurs at the ends of the rug, will continue to “eat” away at the rug and as time goes by, the loss will become more and more significant. Any such losses to the fabric – holes and torn/unraveled edges or ends – must be repaired as soon as possible to prevent them from getting larger and then requiring more extensive and expensive repair. One of the factors for establishing the value of a rug is the condition. As the condition deteriorates, as there are more areas of restoration, the value will inevitably diminish. If you have a leaky flower pot sitting on top of a rug, the water will seep into the rug and over time, the damp/moist area will develop dry rot. Once the foundation of the rug has dry rot, there is no way of fixing it – that area would need to be completely removed and subsequently rewoven and the foundation recreated. This type of damage is easily avoidable and the restoration can be quite expensive, which may affect the future resale value of the rug. Damages due to leaks can affect the entire rug. If a rug “sits” in water for a long period of time, the colors will begin to run / bleed. The rug may also start developing dry rot throughout. Please note, the rug does not need to be fully submerged in water for this to happen. Since the wool will absorb the water, once it is wet, it will need to be opened and dried fully. Long term damages can only be assessed once the rug has been fully dried out. Watch-out for wool eating moths – If you see a moth flying around then you should realize that there is a good chance that your rug is already infested and you should probably seek professional help. Check both the top pile and the underside of your rug periodically. Look for evidence of moths, especially the white silky cobwebs of the larvae. Some residences tend to have moths. If you fall into this category use moth spray periodically, even on the reverse side of rugs in active use. Storing your rugs – If you store rugs folded or rolled, use moth balls or cedar shavings and check the rugs every month or two. Make sure to have the carpet fully wrapped in (and sealed) so that water and humidity will not enter. We also suggest not having the rug sitting directly on the floor of your storage facility. If a leak does occur, it might be days before you find out and you surely would not want your rug “sitting” in water for the entire time. Burns – Make sure that you have something placed under a candle or incense. This way the hot wax and ash wont fall directly onto the carpet’s surface. Flower Pots – Make sure you have something under the flower pot where the water could pool, but not overflow onto the rug. As long as the area (of the rug) where the flower pot is located remains dry, you should not have any issues. *If you have a good carpet then regular stains from food and beverages will most likely not cause long term damage. Therefore you should feel free to use and enjoy the piece and not worry if your guests spill red wine or food. Rotate the rug – It is important to rotate the rug every two years. This should be done so that the foot traffic is spread evenly over the entire surface of the rug. 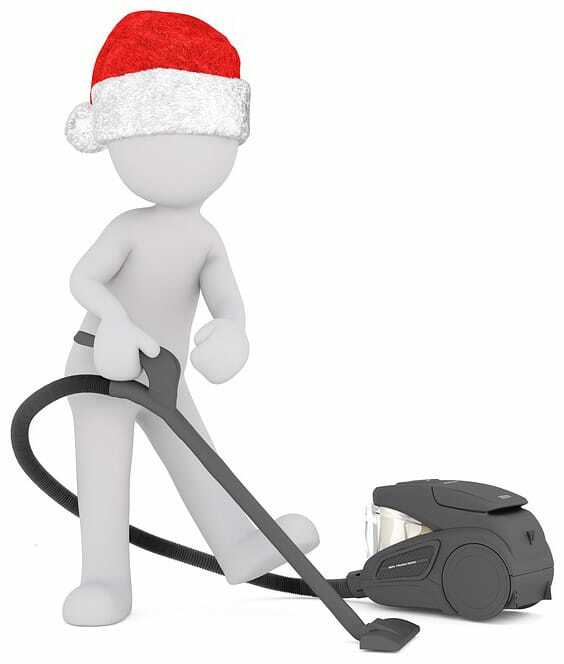 Vacuum your carpet – Frequent vacuuming is essential to remove dust and grit, which will wear the pile down under foot traffic. ***That said, it is important to note that vacuums with long and harsh bristles may damage the rug. So it important to use a vacuum that has a suction only or that has very soft and short bristles. Contrary to popular opinion, vegetable dyes may fade substantially when exposed to UV light. The synthetic dyes will fade extensively and this will happen far quicker than with the vegetable dyed rugs. Prolonged, intense sunlight is not good for textiles of any type. Intense and direct light might also dry and oxidize the wool by weakening the fibers. This is true of vintage rugs and antique rugs. Shade the rug – If you have rugs in a very sunny room, it is advisable to use shading (especially during the sunnier hours of the day). You do not to block the light, but will need to reduce it somewhat. UV films and filters – Applying UV Filters to your windows is strongly advised. While you will not see an actual difference, the filters are quite effective. They are quick, easy, and inexpensive to implement so it is highly recommended to have them installed. Do not store rugs in a closet or attic without checking every month or so for moths and humidity. Do not store rugs in a basement, the damp environment could lead to irreparable dry rot (due to humidity always being present in such places). Do not leave a rug that is damp or wet directly on the floor surface. Moisture that cannot escape or dissipate from under the rug and may also cause dry rot – make sure to prop a damp rug up, letting the air circulate. Do not use vacuum cleaners with harsh bristle roller bars, unless the roller feature can be turned off. Roller or beater bars can cause the ends and sides of the rug to fray, leading to extensive loss. The long bristles may also damage the pile of the rug itself. Do not attempt to treat stains with chemical cleaners. These may make things worse and prevent a professional cleaner from removing the stain later on.